They either all worship the same God or different gods. You can't have it both ways. Dr. Gregg Frazer, by the way is consistent here. He not only believes they all worship different gods, but that "Christians" who reject the Trinity worship a different God as well. 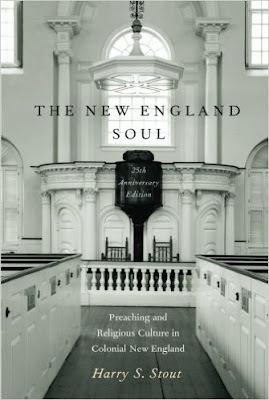 I recently finished reading Harry Stout's book, The New England Soul: Preaching and Religious Culture in Colonial New England. Stout, who is a professor of American Religious History at Yale and the author of numerous books on early American religion, focuses on the unique character and evolution of the New England sermon, and how it served as the dominant means by which information was transmitted to the general populace. Stout argues that no other medium was anywhere as effective in shaping New England thought: "The New England sermon, whose topical range and social influence were so powerful in shaping cultural values, meanings and sense of corporate purpose that even the television pales in comparison." The founders invented a meaning for New England and the children maintained and built upon it. Third-generation ministers, living in a tolerant "Anglicanized" age, promulgated the same doctrines as their predecessors but adorned them with a "polite" style that registered the influence of English manners and the "New Learning." Forth-generation ministers, spanning the years of religious "awakening" and war with France, learned anew the importance of delivery both in theory and fact. Finally, fifth-generation ministers, living through Independence, built their case for resistance and revolution on the memory of the founders and New England's inherited covenant mission. If there was a "decline" and resultant "secularization" of Puritanism, it was not evident in the regular life of the churches. The majority of inhabitants continued to go to church, and their ministers persisted in the same subject matter of their sermons. No shift from piety to moralism was evident. Indeed, it appears that models of secularization stem from historians' failure to appreciate the functional distinctions made by colonial ministers...The more one reads these sermons the more one finds unsatisfactory the suggestion that ideas of secular "republicanism," "civil millennialism, or class conscience "popular ideology" were the primary ideological triggers of radical resistance and violence in Revolution [my emphasis]. This is, in my opinion, the most compelling argument Stout makes. It is easy for even a successful historian to get lost in the fog of emerging Enlightenment doctrine that helps to make this era of history so appealing. We naturally want to gravitate to the "new" ideas of Isaac Newton, Locke, etc. Stout, however, would advise caution. While Enlightenment ideas were no doubt prevalent and growing, the Puritan message was not going out of style. As Stout himself aptly puts it, "Anglicanization, in short, gilded the face of New England society, but did not transform its soul." None of this suggests that the Puritan message remained completely untarnished or free from change. The rise of new scientific sensibilities, the debates over natural religion, and other emerging counterarguments left their mark on the New England countryside. But these new ideas were not seen as fatal blows to the Puritan mindset. Most Puritan ministers were effective in their ability to reconcile divine revelation (as any Congregationalist community saw it) with the "new science" of their day. So long as this new thinking did not upset the world of Reformed Christianity or minimized the importance of Sola Scriptura, these challenges were not as scary as they may first appear. When dissent did arise over matters of theology in New England it was usually to do with issues that had little to do with new Enlightenment principles. The "Great Awakening" is a perfect example. 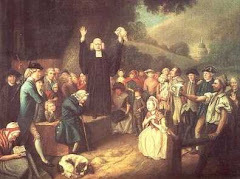 With the rise of Jonathan Edwards and George Whitefield came a new emphasis on the individual conviction of salvation by Christ as opposed to the traditional Congregationalist conversion experience that relied more on hierarchy and ceremony. But this change (which would give birth to the Old Light v. New Light battle) had more to do with the FRUITS of conversion than it did with any actual challenge to church authority. And though I found Stout's book to be both informative and compelling, there are a few areas of concern. First, it would be easy for the casual reader to assume that the Puritan message was the dominant message of Colonial America. New England, rightfully so, received a tremendous amount of credit for being the soil in which revolution was allowed to germinate. With that being said, it is important that we keep in mind the many other factors that led not only to revolution but allowed each colony to develop on its own. Puritanism, though a powerful force, was not the only big kid on the school yard. In addition, I would have enjoyed hearing Stout's take on the emergence of preachers like Jonathan Mayhew and how his brand of preaching proved challenging to traditional Puritan Christianity. With that being said, I was overall pleased with the book. It's worth the time. Two hundred sixteen years ago today (December 14), George Washington breathed his last breaths and slipped into eternity. The death of George Washington marked the passing of America's greatest leader - then and since. To be sure, our nation has been blessed with wonderful leaders, including several of Washington's contemporaries (the men we know as "the Founding Fathers") and many of our Presidents, military leaders, civil rights activists, and religious figures throughout history. But Washington tops them all given the sheer breadth of his experience (political, business, and military) as well as the indispensable nature of his contributions. Without Washington, there would almost certainly be no United States of America today. While an imperfect man (Washington, after all, was a slave owner - though a progressive one whose conscience led him eventually to manumission), George Washington embodied the highest ideals of character and service. Faced with the temptation of becoming dictator (or perhaps king) after the American Revolution, Washington instead chose retirement. Then the nation's leaders begged him out of retirement to supervise the Constitutional Convention and to accept the presidency under the new Constitution. Washington faithfully served two terms and, once again, turned over the reins of power and headed home to Mount Vernon. In this time of political and social division, those of us who love America can only hope that the vast majority of Americans will agree that whatever greatness our nation has achieved in its short history is due in no small measure to the foundation laid by the men and women of the founding generation. And, when one looks at the founding, the figure of George Washington looms the largest. In the end, Abraham Lincoln summed up Washington's legacy the best: "To add brightness to the sun, or glory to the name of Washington, is alike impossible. Let none attempt it. In solemn awe pronounce the name, and in its naked, deathless splendor, leave it shining on." It has been quite some time since my last contribution here at American Creation. For many reasons, I took a long break from blogging about early American religion. One of the chief reasons for my absence was due to what I would call a crisis of faith. The past few years my Mormonism has undergone a bit of a metamorphosis. Though I am still a Mormon, I would not call myself orthodox. I share this because the past two years have seen me deeply embedded in Mormon studies. I simply could not get enough. But now I have emerged, a different Mormon but still appreciative of the faith. I'm also ready to dive back into the study of early American religion in general. I have missed this blog. I miss the debate. I miss the history. But I'm back and I hope 2016 will see much more of me here. To break the ice, I present to you a piece I did not too long ago that became somewhat of a "hit" in Mormon Internet circles. I hope you will enjoy. At first glance, John Willard Young must have seemed like an obvious candidate for inclusion into the Mormon halls of power. As the favored son of “the Lion of the Lord,” John Willard possessed many of the same qualities that made his famous father, Brigham, a legend. John Willard was charismatic, charming, intelligent, witty and cultured. Unlike his father, however, John Willard was also lazy, entitled, dependent, impulsive and careless. How the favored child of the most powerful figure in Utah Mormonism (and one of the most powerful men in the history of Western expansion) could go from being an ordained apostle and heir apparent to his father, to dying broke, friendless and hopeless in an obscure New York apartment is a tale that few Mormons today know (but should). And while you are unlikely to find much about the man by searching LDS.org or any other church website, John Willard’s life is deserving of our time and attention. Though muddled in the complexity of his father’s unbridled zeal, the naiveté of his privileged upbringing and the instability that resulted from his own poor decisions, John Willard Young’s life was not without genuine contribution, both intended and accidental. His contributions to the world of business and government, particularly as they related to railroad expansion and petitioning for Utah statehood, are most assuredly underappreciated, even if his labors employed less-than-ethical actions. And perhaps most noteworthy of all, John Willard Young’s life helped to (inadvertently) establish the practice of apostolic succession that we see in Mormonism today. It was a particularly cold morning when the sun rose over the booming metropolis that was Jersey City on September 19, 1902. As a thriving dock and manufacturing hub, Jersey City was a desirable first stop for many newly arrived immigrants to the United States. Work was oftentimes difficult to find in most Atlantic coastal towns, which made the flourishing community of Jersey City all the more desirable. When the body of Anna Pulitzer, a well known prostitute with an impressive arrest record, was removed from the water, police discovered her abdomen had been hacked to pieces and her head nearly decapitated. Further investigation led detectives to an apartment where several empty beer bottles were discovered, along with bottles containing powerful sedatives, including chloroform and chloral hydrate. In the bedroom police found sheets, towels and clothing soaked in blood. The words “Blood Atonement” had been scribbled several times in a notebook found on the floor. Police eventually determined that the apartment belonged to John Willard Young, a local businessman and failed entrepreneur. Young, who had been out of the country for several weeks, immediately returned to the United States upon hearing the news of the deceased woman, who police determined had died of a drug overdose. By the time he returned to the States, officials had already arrested the man they deemed responsible for the grizzly and bloody scene in John Willard Young’s apartment. Hooper Young, a well known morphine and gambling addict, had confessed to using drugs with Anna Pulitzer. After her death, Hooper Young admitted to authorities that he tried cutting up her body in order to dispose of it, but the sight of so much blood caused him to flee in terror. The news fell hard on John Willard Young. Not only had a prostitute been butchered post-mortem in his own apartment, but the guilty party responsible was none other than his own son, Hooper Young. To understand the story of John Willard Young and the role he played in Mormon history we must journey back to the years of his youth. Born October 1, 1844 in Nauvoo, Illinois to Brigham Young and Mary Ann Angell, John Willard grew up as a child of the Mormon pioneer era. He traveled across the American frontier, arriving in the Salt Lake Valley where his famous father hoped to establish the Mormon Zion in the Rocky Mountains. President Young said I am going to tell you something that I have never before mentioned to any other person. I have ordained my sons Joseph A., Brigham & John W. Apostles and my Counselors. Have you any objections? J. Taylor & G.A. Smith said they had not, that it was his own affair & they considered it under his own direction. And though some church leaders were aware of the ordination of Brigham Young’s children as apostles, the church in general was kept in the dark. President Young had instructed members of the Quorum of the Twelve to “make a record of it, but…not tell anyone not present about the event.” It wasn’t until April of 1873, nearly eighteen years after being ordained by his father, that John Willard, along with his brothers, were publicly sustained as “Prophets, Seers and Revelators” and as Assistant Counselors in General Conference (Brigham, Jr. had been sustained to the Quorum of the Twelve in the October General Conference of 1868). It naturally seems odd to modern members of the church when they discover Brigham Young’s enigmatic actions in ordaining his own children (in the case of John Willard at the tender age of eleven) to be apostles. After all, the calling of apostle has been held in the highest regard by Mormons of all generations. What does it say of such a calling if an eleven-year-old child can assume such a mantle merely because of his family ties? The answer is actually simpler that we might think. For Brigham Young, the calling to the apostleship (not to mention church participation in general) was very much a family affair. For example, Joseph Smith had issued a number of prestigious callings to members of his own family. Joseph’s brother, Hyrum, was called to be “Assistant President of the Church,” a position he held until his death. Joseph Smith, Sr., father to both Hyrum and Joseph, was given the position of Presiding Patriarch, which he also held until his death. And in a hotly debated (even to this day) act, Joseph Smith ordained his own son, Joseph III, to become his eventual successor. In addition, other church leaders who followed in Brigham Young’s shoes saw no issue with calling family members to various positions of importance. John Taylor, Wilford Woodruff and Joseph F. Smith all went on to call respective kin to become apostles once they became president of the church. Smith announced revelations that some men had a right to preside in the church by virtue of lineage (D&C 26:21, 36:8, 107:39-52, 113:8). As implied by some revelatory statements, the right extended beyond lineal office of Presiding Patriarch…Several revelations indicated that the sons and other descendants of current leaders would have significant roles in the church. These statements gave authority for the appointment of relatives to the hierarchy. In short, Brigham Young’s ordination of John Willard (along with his two older brothers) may seem odd by 21st century Mormon standards, but it was hardly strange to Mormons living in the 19th century. This doesn’t mean that the ordination of John Willard Young was without criticism. With that being said, the criticism came not as the result of the calling itself, but rather due to John Willard’s apparent ineptitude and indifference to Mormon teachings and practices. Those who questioned President Brigham Young’s actions in this regard were not protesting a familial bias on the part of the prophet, but rather his evident disregard for John Willard’s obvious incompetence. It was one thing for Mormons to accept the prophet’s son as potential heir to the hierarchy, but it was quite another for them to discard blatant hypocrisy. Though he had been ordained an apostle for nearly a decade (from 1855 to 1864) and set apart as an Assistant Counselor in the First Presidency, John Willard Young seemed to live a life that was utterly unimpressed with and totally disinterested in his unique (and for a believer, divinely inspired) calling. From 1864 on, John Willard spent most of his time living the high life in New York City, where his lavish tastes earned him (and cost him) a great deal. John Willard’s wild business ventures, combined with his grandiose personality, wit and charm, yielded terrific financial success from time to time. His expensive tastes, luxurious lifestyle and unbridled avarice, however, produced even more debt. When his business ventures eventually failed, John Willard found himself immersed in so much debt that his only recourse was to turn to his powerful father for aid. Brigham Young’s dysfunctional relationship with John Willard was no mystery to church leaders. Apostle George Q. Cannon expressed his concerns regarding the misappropriation of church funds, particularly as they related to John Willard’s regular monetary allowance that came straight out of tithing funds. Apostle Joseph F. Smith was even more specific when he noted that John Willard’s “$16,000 per year from the tithing office for his support” was a blatant misuse of church funds. Eventually John Willard’s financial woes became so overwhelming that a change of scenery became a necessity. After again obtaining financial aid from his father that was sufficient to pacify his debtors, John Willard returned to Salt Lake City in March of 1876. Brigham Young, who was more than delighted to welcome his son home, seized the moment by offering John Willard a position that would keep him in Utah for the foreseeable future. Though John Willard had never exercised any actual church responsibility, nor shown any interest at all in church matters, the Prophet Brigham announced in the October, 1876 General Conference that his 32-year-old son was to be the new First Counselor of the First Presidency of the church. Skepticism and criticism naturally surrounded news of John Willard’s rise to the position of First Mate of the LDS Church. As his father’s right-hand man, John Willard was now in a position to make a substantial impact, which caused detractors no shortage of angst. Local newspapers, which had grown accustomed to commenting on the unsavory habits and lifestyles of Brigham’s children, were more than willing to lampoon “apostate Johnny” (John Willard) and “Fat Prince Briggy” (Brigham, Jr.) as the unworthy beneficiaries of nepotism. Joseph F. Smith, a member of the Quorum of the Twelve, expressed his concerns privately to President Brigham Young. Smith believed John Willard’s lack of actual experience and poor life decisions could upset members who knew next to nothing about the man and his credentials. In a fit of rage, President Young scolded Elder Smith for his remarks and then promptly sent him on a five-year mission to Europe. So completely has Brigham brought his people under this subjection, that it is of no consequence what he proposes to them—if they even hate the subject proposed, they will vote for it, if Brigham puts it before them, and, as seen by a telegram to the Chronicle, recently, the old man has at length defined is policy for the future of the Mormon Church, in selecting for his first counselor the youngest son of his first family, JOHN W. YOUNG. This now to be prominent young man is well known in this city, especially among capitalists. He has stopped at our hotels quite frequently within the last few years, and has been entertained in a princely style…The Prophet thought Johnny should see a little more of the world before proceeding further in that line, and he was consequently sent to England on a tour of pleasure in company with his brother "Briggy Junior." These two scions of Mormon royalty traveled all over Europe, spending lavishly the funds of the poor confiding Saints…[T]he youngest son of the Prophet drank deeply of the ways of the world, and was furiously captivated by its fashions. For several years he has lived so little in Utah—preferring San Francisco and New York to the City of Saints—that he has been regarded as an apostate from the faith, and thus, unexpectedly to everybody, he re-turned to Utah a week ago, and the Prophet, in utter disregard of the sentiments of the Mormon people, places him next to his throne, and makes him by that act the next Prophet of the Mormon Church. For a man of Brigham Young’s stature, the choice to promote the untested, unproven and seemingly uninterested fruit of his loins over other men who were far more qualified reveals the very real intent of establishing a familial dynasty. But as mentioned above, this was not without precedent nor entirely frowned upon. The issue wasn’t that a child of the prophet was now following in his father’s footsteps, but rather that the child chosen was a charlatan with a track record of narcissistic greed that flew in the face of everything the faith hoped to represent. For Mormons of the 21st century, the basic understanding of apostolic succession suggests that the process is carried out with seamless perfection by the very hand of God: the Lord calls his apostles, who gradually climb the latter of seniority within the Quorum of the Twelve, and, if it be God’s will, live to become the senior apostle, thereby becoming the de facto President of the Church. If only history were this simple! In February of 1835, Joseph Smith claimed that the Lord had commissioned the Three Witnesses (Oliver Cowdery, David Whitmer and Martin Harris) to select the first members of the new Quorum of the Twelve Apostles. Once the selections were completed, the newly appointed apostles had their seniority arranged according to their order of ordination as apostles. In other words, the first apostle ordained as such became the most senior, while all other apostles followed in like manner based on order of ordination. This system of ordination, however, changed dramatically in May of that same year when Joseph Smith instructed that the apostles were to arrange their seniority based on their age. This system of seniority existed, more or less, for the next decade until Joseph Smith was killed at Carthage in 1844. The beginning of the Mormon Succession Crisis brought into focus many of the flaws that existed with the age-based apostolic seniority system. Over time (1835-1844), numerous members of the Quorum of the Twelve had been replaced due to death, apostasy, etc. Men called to fill these vacancies struggled to know their place in the quorum. Did they hold more seniority if they were older but lacked the experience and tenure of already serving apostles? For example, was Wilford Woordruff (age 32, ordained an apostle April, 1839) senior to John Taylor (age 30, ordained an apostle December, 1838)? Technically, yes but practically, no. The Mormon Succession Crisis, though not based entirely on apostolic seniority, was exacerbated by the obscurity of this question. It wasn’t until Brigham Young was able to emerge as leader of the majority going west that this question of apostolic seniority would be answered, and the answer given was far from concrete. For all intents and purposes, Brigham Young’s understanding of apostolic seniority rested exclusively on date of ordination as an apostle, which is why John Taylor was eventually placed ahead of Wilford Woodruff in the line of succession. This is how the matter stood when Brigham Young took the eleven-year-old John Willard and ordained him an apostle. The next most junior apostle in age to John Willard was Franklin D. Richards (age34). As a result, John Willard was perfectly positioned to one day enjoy overwhelming seniority and lengthy tenure as church president. Keeping these facts in mind, it is almost impossible to deny that Brigham Young was determined to establish his family line as a dynasty that would extend long into the future. With now four of his sons ordained to the apostleship, Brigham was clearing stacking his own deck. If the Smith family was to be revered as Mormonism’s founders, the Young family would be revered as its future. And so it was that John Willard Young, a man with no experience and a track record of slothful irreverence for all things Mormon, took his place at the right-hand of his father. As an ordained apostle and sustained “Prophet, Seer and Revelator,” John Willard was now rubbing shoulders with (and, in essence, presiding over) the very apostles who questioned and doubted his abilities and integrity. For men like John Taylor, the presence of John Willard as First Counselor to his father was aggravating at best. Taylor had recorded that John Willard’s body of work amounted to little more than “perusing secular enterprises” and he had done virtually nothing as a General Authority. Of late there has been less attention paid to the raising of sugar cane and the manufacture of molasses than formerly. This should be remedied. Those settlements suitable to the production of this crop should not only produce enough for their on consumption, but should make some to send to settlements less favored in point of climate. Female labor should be classified giving sewing to those most skilled in this branch of industry…You are advised not to buy additional sewing machines on time from agents who travel through the country…In this connection it may be stated that in many of the settlements it will be found, under the provisions of the United Order, that there are more than enough sewing machines to do all the work required. One can only imagine what these communities were thinking when they read President John Willard’s words of counsel. Not only had sugar cane been a complete failure in the Utah Territory, but the extreme lack of sewing equipment had virtually stymied any chance of producing clothing on a large scale. Simply put, John Willard’s life experience as a businessman in New York did not translate well to life in the Mormon colonies of the west. Church government is not a simple monolithic structure in which all church leaders and organizations act alike; there is a system of checks and balances. It is clear that Brigham Young minimized the Council of the Twelve at times, and they resented his use of autocratic power. Brigham Young’s actions to minimize the Quorum of the Twelve’s influence while bolstering his own authority were met with mild but sincere resistance. Though the other apostles in the Quorum of the Twelve disliked the actions of Young, they did little to oppose him. In the 1851 General Conference, Young had himself and his two counselors sustained as “Prophets, Seers and Revelators,” but did not extend the same titles to the apostles in the Quorum of the Twelve. Young furthered his consolidation of power by allowing only himself and members of his First Presidency to be sustained “Prophet, Seer and Revelator” in every General Conference from 1873 until his death in 1877. By the 1870s, Brigham Young’s inner circle of trusted confidants did not include a single apostle from the Quorum of the Twelve. The death of Heber Kimball, Brigham’s greatest friend, forced him to seek others in whom he could trust. This may help us to better understand why Brigham insisted on having his children, even if wayward, over fellow apostles. Brigham Young had seen, first hand, the betrayals of other apostles when Joseph Smith was in charge of the church. For a man who had spent a lifetime fighting the enemies of the faith (whether inside the church, outside the church, or simply in his own head), trust and loyalty were the supreme commodity. Perhaps due to his own superciliousness, Brigham Young never considered that his fellow apostles would one day seek to undo all he had set in motion for the benefit of his family line. With the death of President Young in 1877, a new face rose to take control of the church. John Taylor, who had experienced his own share of disagreements with both Brigham and John Willard, would eventually emerge as Mormonism’s 3rd church president, though not right away. In yet another example of how different the church operated in the 19th century v. today, the Quorum of the Twelve essentially decided to govern the church as a quorum instead of nominating another president. Some of the brethrem, as I have learned since the death of President Brigham Young, did not have feelings concerning his course. They did not approve of it, and felt opposed, and yet they dare not exhibit their feelings to him, he ruled with so strong and so stiff a hand, and they felt that it would be of no use. In a few words, the feeling seems to be that he transcended the bounds of the authority which he legitimately held. For John Willard, the death of his father also meant the death of his position as First Counselor. With the Quorum of the Twelve now governing as a group, their first order of business was to decide what to do with First Presidency Counselors John Willard Young and Daniel Wells. 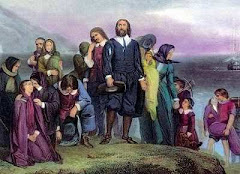 Though vacancies existed in the Quorum of the Twelve, it was decided that John Willard would not be included, but rather be given the title of “Counselor to the Twelve.” As one might expect, John Willard elected to abandon his new calling entirely as he returned to his previous life in New York City. It wasn’t until 1880 (three years after Brigham Young’s death) that John Taylor finally emerged as the church’s 3rd official church president. In addition, three new apostles were called to the Quorum of the Twelve. John Willard, however, continued to remain on the outside. Though still technically considered a “Counselor to the Quorum of the Twelve,” John Willard’s name would go unrecognized at future church General Conference meetings. He may have still been considered an apostle, but it was clear that the church wanted little to do with him, and by all appearances John Willard felt the same. And though his connections proved beneficial, John Willard Young’s conduct became too much for church leaders to stomach. With a personal history replete with examples of wanton spending, unethical dealings and scandalous sexual promiscuity, the church eventually decided to take action. The First Presidency and Quorum of the Twelve, in a meeting prior to the commencement of the October, 1891 General Conference, once again took up the question of what to do with the wayward John Willard Young. Fortunately for church leaders, their repeated letters of reprimand became too great an annoyance for John Willard, who finally replied with an official letter of resignation from his position as a General Authority. John Willard continued to carry the title of an ordained apostle (there was little church leaders could do about that) but for now he was done as a General Authority. The story of John Willard Young doesn’t end here. Being removed as a General Authority did not therefore mean that John Willard no longer had standing within the church hierarchy. Bearing in mind the precedent of apostolic succession implemented by Brigham Young (i.e. the date of ordination as an apostle being the determining factor in seniority), John Willard was still very much a concern for church leadership. The question of how to deal with this dilemma remained on the back burner until 1898. By then, Presidents John Taylor and Wilford Woodruff had passed away, thereby making Lorenzo Snow the church’s 5th president. The issue of what to do with John Willard took center stage in December of the following year when Apostle Franklin D. Richards, President of the Quorum of the Twelve, passed away. John Willard Young, the unruly, indifferent and indulgent apostle since the age of eleven, was now the senior apostle behind President Snow. For President Lorenzo Snow, now age 85 and in failing health, the prospect of John Willard becoming his successor was simply unacceptable, but since John Willard remained an ordained apostle having never been excommunicated, he still had the only legitimate case to be made as it pertained to apostolic seniority. The obvious issue was John Willard was completely unliked and totally untrustworthy, which was more than enough justification for Lorenzo Snow to make what was arguably his greatest contribution as church president. On April 5, 1900, in a private meeting with his counselors, Lorenzo Snow made a slight but dramatic change to the way apostolic succession would be determined (which continues to be the standard to this day). Snow claimed that apostolic seniority was to be based exclusively on date of entrance into the Quorum of the Twelve Apostles, and that date of apostolic ordination was no longer to be considered. As a result, John Willard Young went from being the most senior apostle to having no seniority at all. He may have served as a member of the First Presidency and as a “Counselor to the Twelve,” but John Willard was never officially a member of the Quorum of the Twelve Apostles. Ironically this meant that Joseph F. Smith, John Willard’s nemesis who had been ordained an apostle by his father, Brigham, was now the heir apparent to the church presidency. News of the change fell heavy on John Willard, who not only had been making preparations for his triumphant return to Utah, but hoped that his new position would alleviate his financial situation. Since returning to New York, John Willard’s personal finances had become a disaster. No longer could he look to his rich father for aid, and the prospect of becoming church president was the only remaining card John Willard had to play. John Willard Young died of cancer on February 24, 1924. Though he regularly continued to attend his local branch, where he enjoyed flaunting his ordination as an apostle by the hand of his father, Brigham, church authorities in the area wrote that he “died without a friend in the world.” John Willard’s son, Hooper, finished his twenty-year prison sentence and returned to Utah, where he briefly met up with distant family members and tried to cash in on his family name. He then promptly left Utah and was never heard from again. And thus ends the curious case of John Willard Young. The life of John Willard Young is undoubtedly seen in a different light depending on who is acting as audience. For the skeptic, John Willard Young is the textbook case to prove that the position of apostle is nothing more than a mere title bestowed by human conceit. 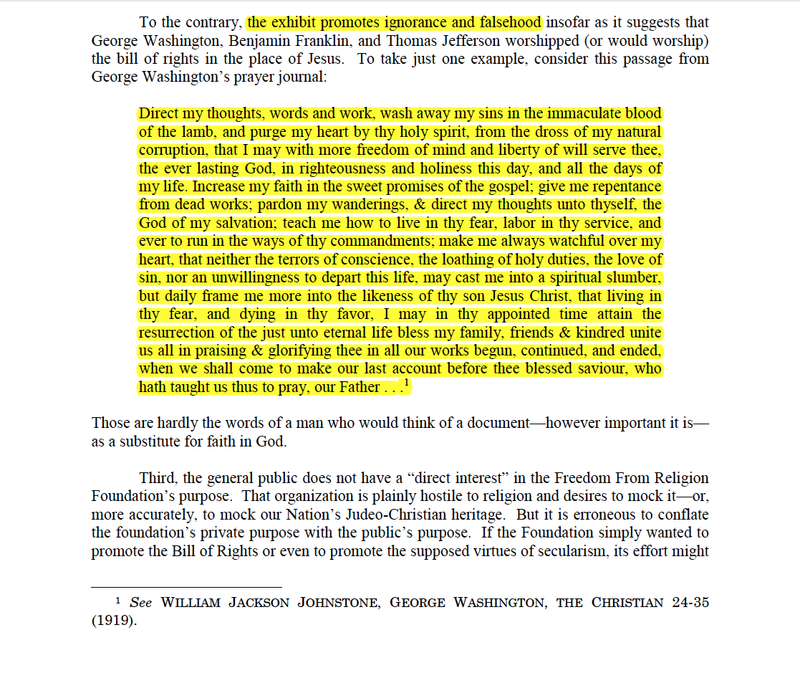 For the believer, John Willard Young forces us to reconsider what truly qualifies a person to the status of “Prophet, Seer and Revelator.” Clearly the prerequisites are much more than mere ordination, which is but a formality, akin to a political oath of office, and does not guarantee the blessings of heaven. And while his story may seem too offensive to merit greater attention, I believe it is vital that we avoid the desire to sweep the story of John Willard Young under the rug. After all, pretending that his life never took place does nobody any good. John Willard Young was not simply a “Faux pax Prophet” or mere blemish in an otherwise perfect church. Instead, like it or not, John Willard Young is a litmus test for every leader, every saint, every sinner, every calling and every member. One may possess impeccable charm, spectacular charisma, unlimited intellect, infinite wealth, or noble ancestral heritage but none of that supersedes the basic building blocks of human potential: unwavering integrity, humble virtue, thoughtful charity, and selfless character. It is more than likely that John Willard Young’s story will remain on the fringe of the Mormon narrative and rightfully so. The church, like any institution, has the right to put its best foot forward to the world. But for those who choose to swim further out into the current, John Willard Young is a story that spawns deep struggle. After all, his story exposes some of the less-than-pleasant attributes of his famous father, Brigham Young, who himself walked a thin line between totalitarian dictator and humble prophet. John Willard’s story brings to light the struggle that exists in the halls of power of every institution, regardless of its mission, and the many mistakes that result from human frailty. And finally, John Willard’s story reminds us that the chasm dividing success and failure is not as wide as we sometimes believe. After all, John Willard Young was, for a time, literally a heartbeat away from becoming President of the Church of Jesus Christ of Latter-day Saints! That he died friendless and penniless in a humble New York apartment is probably the outcome nobody expected, least of all his father. Perhaps this is why his story matters so much. Sir Walter Scott, The Lay of the Last Minstrel. (New York: T.Y. Crowell & Co., 1884. Originally printed in 1802). Pp. 13. I relied heavily upon newspaper articles from the Wellsville Daily Reporter (Wellsville, New York) and the Salt Lake Tribune’s digital archive (Salt Lake City, Utah), from September 23, 1902 to September 30, 1902, in my recreation of the events leading up to the death of Anna Pulitzer and the subsequent arrest of William Hooper Young. Charles W. Watson, John Willard Young and the 1887 Movement for Utah Statehood. Ph.D. Dissertation, Brigham Young University, Dept. of History, 1984. (WorldCat database, Denver Public Library). Pp. 32-34. A special thanks to the library staff of the Denver Public Library and the Pikes Peak Library for their help in obtaining Watson’s Ph.D. dissertation, which proved to be a fountain of valuable information. The Journal of Wilford Woodruff (1858-78), as cited in Todd Compton’s John Willard Young, Brigham Young, and the Development of Presidential Succession in the LDS Church. Dialogue: A Journal of Mormon Thought, vol. 35 (4) Pp. 111-134. Compton, John Willard Young, Pp. 120. Roger Launius, Joseph Smith III: Pragmatic Prophet (Urbana: University of Illinois Press, 1995). Reference the first two chapters for more on the ordinations of various members of Joseph Smith’s family. It is also noteworthy that both Hyrum and Joseph, Sr.’s callings carried with them the titles of “Prophet, Seer and Revelator” and both men were sustained as such. Compton, John Willard Young, Pp. 133. D. Michael Quinn, The Mormon Hierarchy: Extensions of Power (Salt Lake City: Signature Books, 1997). Pp. 163-64. Brigham Young to John Willard Young, Oct. 26, 1874. As cited in Compton, John Willard Young, Pp. 121, footnote #27. Quinn, Mormon Hierarchy, 2085. If we consider the interest on this amount, John Willard Young was receiving approximately $100,000 a year by today’s standards, from church tithing funds. Watson, John Willard Young, Pp. 218. Compton, John Willard Young, Pp. 132. Watson, John Willard Young, Pp. 135-36. John Turner, Brigham Young: Pioneer Prophet. (Belknap Press, 2012), Pp. 384. Amazon Kindle Edition. Turner mentions how the Salt Lake Tribune regularly ridiculed both Brigham, Jr. and John Willard for problems relating to the Word of Wisdom, marital strife, including John Willard’s multiple divorces and his endless reliance upon his father for monetary aid. Compton, John Willard Young, Pp. 123. The Mormons: Brigham Young’s Choice of Successor. St. Louis Globe-democrat. Vol.2, no.154. December 8, 1876. The Chicago Daily Tribune, October 14, 1876, Pp. 9, column 7. Compton, John Willard Young, Pp. 114-121. Compton provides excellent detail into many of the specific issues surrounding apostolic succession, both before and after the death of Joseph Smith. For a more detailed account of these specific issues I refer you to his work. Compton, John Willard Young, Pp. 124. Reference footnote #40. Letter from John Willard Young to the Saints of the St. George Stake of Zion, April 11, 1874. Original letter in the possession of the Brigham Young University, Harold B. Lee Library. A special thanks to the staff of both the Harold B. Lee Library and the Pikes Peak Library for their assistance in helping me obtain a copy version of this letter via inter-library loan. Compton, John Willard Young, Pp. 131. Quinn, Mormon Hierarchy, Pp. 40. Turner, Brigham Young, Pp. 382. For a more apologetic look into the final years of Brigham Young’s presidency and many of the precedents he established, reference William G. Hartley, The Priesthood Reorganizastion of 1877: Brigham Young’s Last Achievement, Brigham Young University Studies (1991) Pp. 57-80. Quinn, Mormon Hierarchy, Pp. 40-41. Compton, John Willard Young, Pp.124. Matthew J. Grow and Ronald W. Walker, The Prophet and the Reformer: The Letters of Brigham Young and Thomas L. Kane. (New York: Oxford University Press, 2015). Pp. 508-512. Compton, John Willard Young, Pp. 125. Reference Watson, John Willard Young, Pp. 77-80, and Compton, John Willard Young, Pp. 125, footnote #43. For more on the sexual allegations against John Willard Young see Watson, John Willard Young, Pp. 9-16. Also reference Quinn, Mormon Hierarchy, Pp. 720. Quinn, Mormon Hierarchy, Pp. 720. Watson, John Willard Young, 267. Compton, John Willard Young, 126.